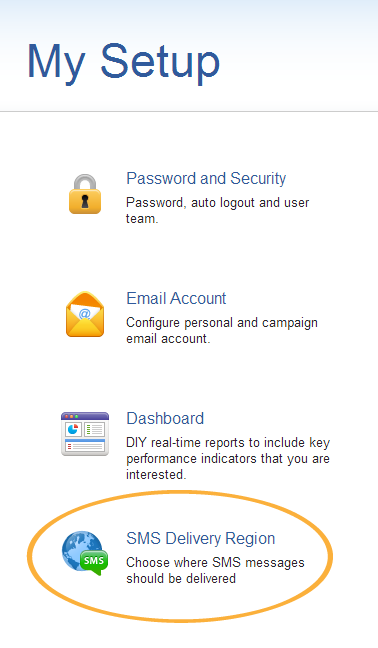 By default, your account is configured to allow SMS delivery to your local region only. All other regions are disabled to prevent sending SMS to wrong phone numbers. You can change this setting by enabling more regions for SMS delivery. Our global SMS network covers more than 200 regions. With just a few steps, you can start sending SMS globally. First, go to [My Setup]. Then select [SMS Delivery Region]. In this page, you can see all enabled regions, grouped by continents. By default, only your location is enabled. Next to each region you can see the number of SMS credit required to send 1 standard SMS message to this area. Pay attention to the variations on credit requirement between different regions. First, click [Add / Remove Regions] under any continent. All regions in that continent will be shown in alphabetical order from top-left to bottom-right. You can find other regions by toggling different continent sections. Now mark checkboxes of specific regions where you allow SMS delivery. Note that all regions sharing the same calling code must be enabled/disabled together. 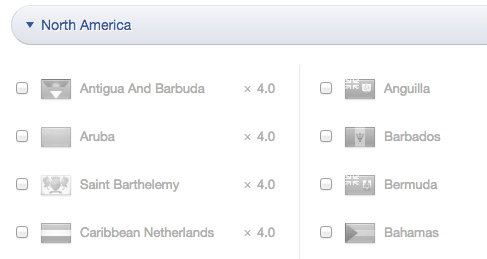 To enable delivery to all regions under a continent, click [Select All] on the right. Click [Save] in the bottom of the page after you finish adding or removing regions.